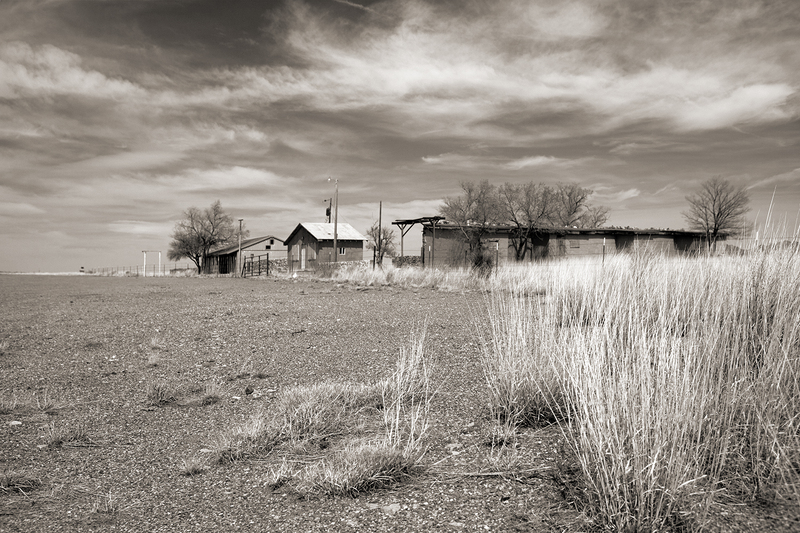 Twenty miles west of Socorro. A couple of weeks ago I took a photo safari, the first in many months. Or is that years? The impetus was the call of the open road as much as anything. I’d been hankering to see Silver City for quite a while and that stems from my lust for little towns that have downtowns with good bones. We found the place many years ago, just passing through really. I remembered the coffee place we visited and used it as a touchstone this time. In wandering around Silver City's tidy downtown I stumbled on the Javalina Coffee House and it was just the welcoming establishment I recalled. Good coffee, too. 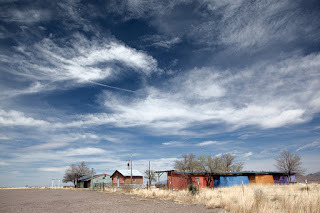 I’ve described these villages as places where you can amble to El Centro to get your morning coffee, a good breakfast, the New York Times and visit your local pub, a place where everybody knows your name. The village can also be a neighborhood in a larger city. An acquaintance said when he and his wife travel to a new city they search out locally owned bookstores and find that neighborhoods with independent bookstores usually have good restaurants, art galleries and, today, at least one busy brew pub. It's a package deal. One thing that they are not is dry. 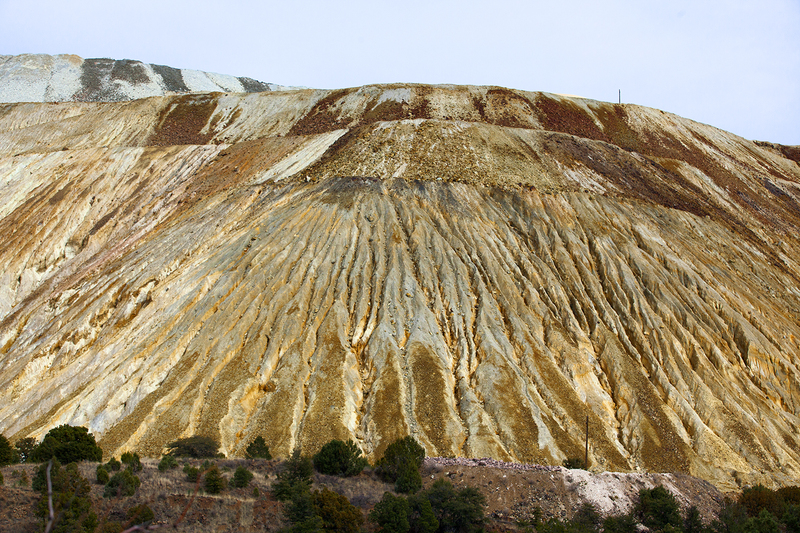 Silver City, the home of Western New Mexico University hits most of these notes. Not sure about the dining scene. My dinner at Diane's, one of two "fine dining" establishments was decidedly ho hum. I'll do further research and report back. Fresh beer is alive and well at Little Toad Creek Brewery I'm happy to report. I took the great circle route to get to Silver City, opting to head west from Socorro through the Very Large Array rather than the more direct route through Kingston and Hillsborough. I might not do that twice. It was a winding ribbon of nothing from Reserve, the most right wing town in the most right wing county in all of New Mexico. Reputedly you’re required to pack heat if you live in Reserve. I found it unnerving. The images here and above are from the outbound drive to Silver City and include the vast Freeport McMoran copper mine fifteen mile east. 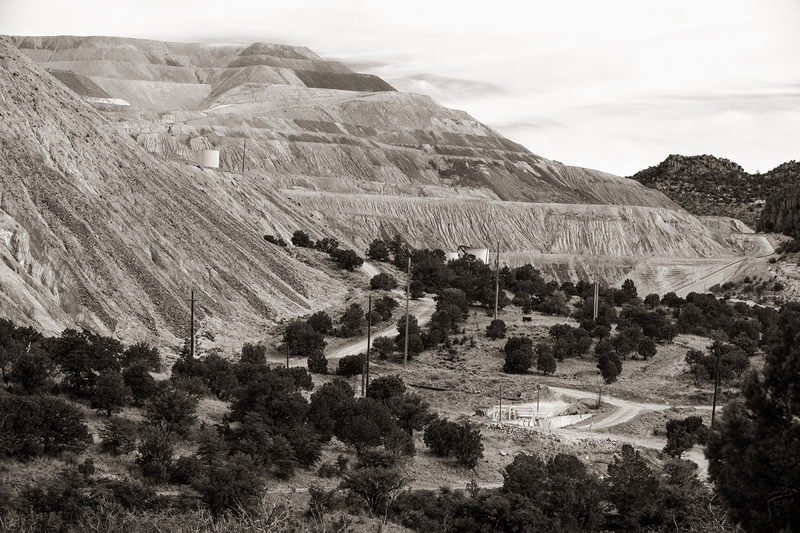 Unlike Freeport McMoran's Morenci, AZ mine which left a crater the size of Manhattan, the Santa Rita mine extracts copper from the mountain side. Silver City is, on the other hand, a bastion of lefty politics owing to the college and a wave of educated oldsters that remind me of Taos. The place has a shot at becoming a real art colony. Karen Hymer, a photographer and educator, who opened Light Art Space last October is counting on it. Her current exhibition Dead Art: An Analog Approach to a Digital World runs through April 28. It's a powerful show of work from her former students at Pima College in Tucson. It is always great to hear about a fellow photographer hitting the road, and seeing the results. Your blog on Silver City this morning did not disappoint. 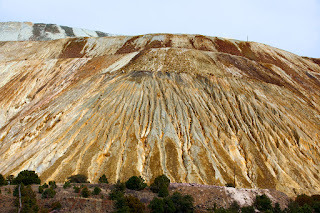 The color photograph of the Freeport McMoran copper mine shows the ironic beauty of mining, and the brief supporting history gives one an image of what the area is becoming. Thanks for this post and your images of the area on Facebook and Instagram as well. It would be great to see more, Steve! "Ironic beauty" is an apt term. I thought about "terrible beauty" as a descriptor. My text is a disjointed as it refers to Silver City and there are not photographs of it in the post. Probably next time there will be actual shots from the town though I'm not wild about my efforts. Have always wanted to explore the Gila area but haven't made that trip yet. I noticed the two very similar photos at the top of the web based post. I like the color one because of the various exterior colors of the building walls. 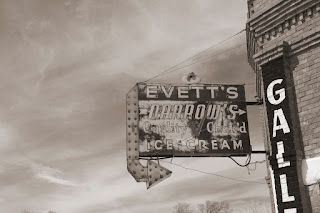 I was curious about your thoughts about el centro of Silver City beyond the one gallery, ie coffee spot, NYTs spot, was the ice cream parlor replaced, bookstores, pub etc. Maybe another installment due soon? Terry, I enjoyed Silver City. Has a chance to blossom. Only three hours from Tucson. The photography gallery I mentioned was excellent. It’s worth a trip.